Product prices and availability are accurate as of 2019-04-20 05:33:27 EDT and are subject to change. Any price and availability information displayed on http://www.amazon.com/ at the time of purchase will apply to the purchase of this product. WIRELESS SOLAR POWERED OUTDOOR SECURITY CAMERA with built-in 4000mah battery: Soliom S60 wifi Security Cam is reliable & 100% self-sustained by solar light panel. So you can enjoy the peace of mind not worrying about replacing battery or expensive energy bills. 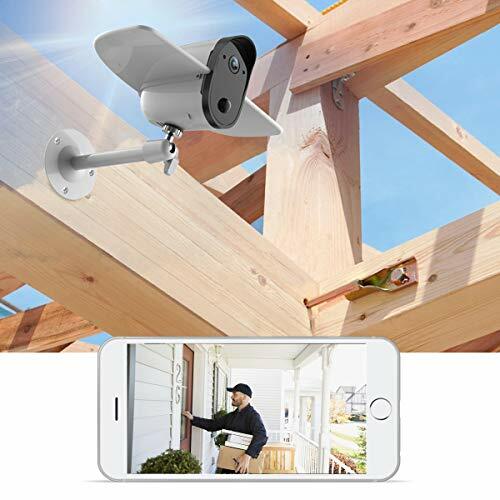 WIDE ANGLE & FULL IP66 WEATHERPROOF: Soliom S60 is the ultimate Outdoor Security Camera for home and business with a wide angle of vision, made from high-quality plastics to withstand extreme weather. Its new generation battery works at temperatures between -4? to 140?(-20??+60?). IP66 weatherproof grade for safest use in your yard. 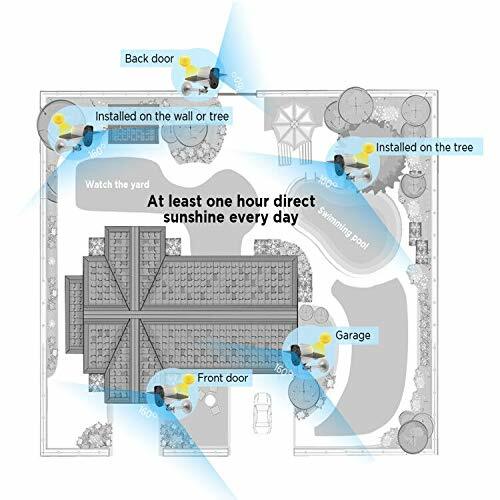 ACCURATE MOTION DETECTOR & ALARM: The Outdoor IP Cam features an exclusive two-way motion detection technology that allows to reduce false alerts (PIR & RADAR), with 0.7-second quick trigger speed. When motion is detected, the cam will send an alert to your smartphone and record a short video clip into the memory card. ADVANCED DAY AND NIGHT VISION: Our surveillance system has an impressive 1080p full HD day time video quality with 5 refined layers of glass lenses. 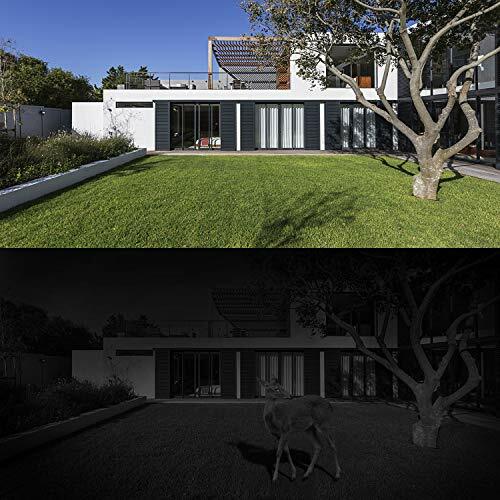 It uses the best LED light to enhance night-vision, with max 33-49ft visible distance and auto switch day to night mode. Stay safe with a reliable and clear 24/7 non-stop indoor and outdoor home security. 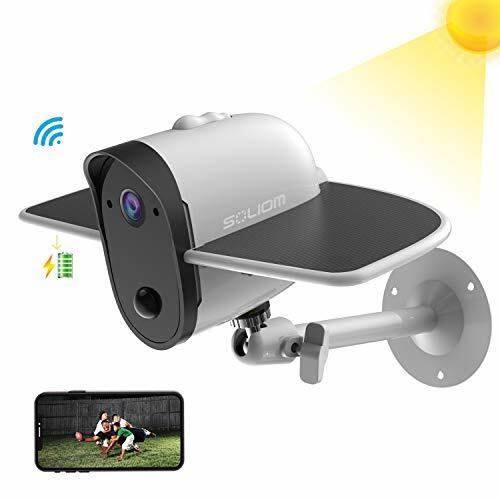 FULLY WIRELESS AND TWO WAY TALK: Soliom S60 is WiFi enabled wireless IP security camera thanks to the Soliom free app that allows you to remotely monitor your yard entrance, garage, office, garden, home, at any time with live view video. 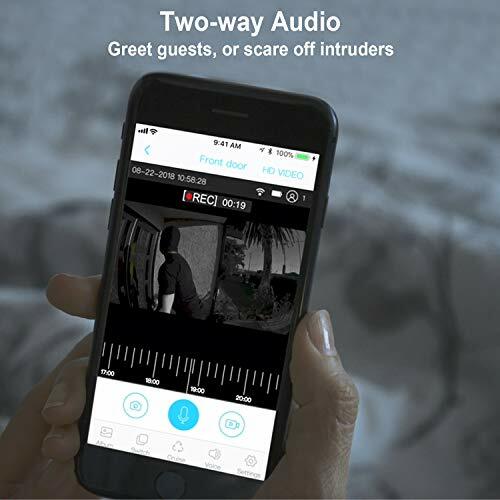 The two-way talk lets you hear and speak to anyone who is within its range.